Ever since the mass commercialisation of the fashion world, it has become increasingly difficult for designers to stay true to their vision and concepts without making huge compromises. To show just one collection is extremely expensive, maintaining control of an eponymous label with little financial backing is even more expensive, yet it is something that the iconic Hussein Chalayan has managed to do with little difficulty. Creative director of his own label since 2008, Chalayan's career spans two decades - showing his first commercial collection 'Cartesia' just after graduating from Central St Martins, the Turkish-born designer immediately established himself as a major player on the London fashion scene. 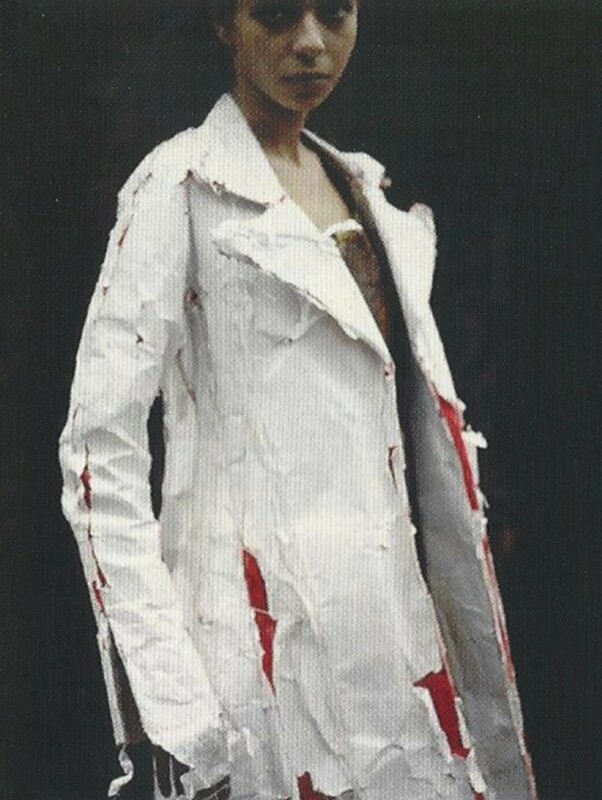 Setting himself apart from his contemporaries instantly, Chalayan's 1993 graduate collection was entitled 'The Tangent Flows' and featured clothing which he had buried alongside iron filings and left to decompose before digging them up and sending them down the runway. The entire collection was immediately purchased by luxury boutique 'Browns' and featured in the shop window, thus setting the tone for the rest of Chalayan's career. No stranger to commercial success, he was crowned 'British Designer of the Year' consecutively in 1999 and 2000, but what is it that sets Chalayan apart from his contemporaries? Perhaps it is the fact that the concepts and ideas behind his collections are so meticulous - an indication that his work is multi-dimensional, and is designed to be researched and scrutinised as opposed to merely being worn. In this sense, Chalayan's work can be seen as a social commentary of sorts, and a true insight into the life and beliefs of the designer. For instance, throughout his work there are five key concepts which I will explore in more detail, all of which are relevant to Chalayan's life and upbringing. The first of these concepts, and perhaps the one that has been featured most literally in the designer's work is the concept of flight. This was expressed literally in the A/W 1999 collection 'Echoform', which saw the unveiling of the now-iconic 'Aeroplane' dress. Constructed to mimic the exterior of an aeroplane, the dress had a central compartment which slid down mechanically to represent the unfolding of the wing before take-off - this was the highlight of a collection which also featured dresses with built-in neckrests, a detail which Chalayan later went on to say he designed around the idea of an aeroplane being like a temporary home, designed for comfort. A frequent flyer from a young age, Chalayan has spoken of how his childhood was spent flying back and forth between Turkey and the UK, as well as how his earliest aspiration in life was to become a pilot. 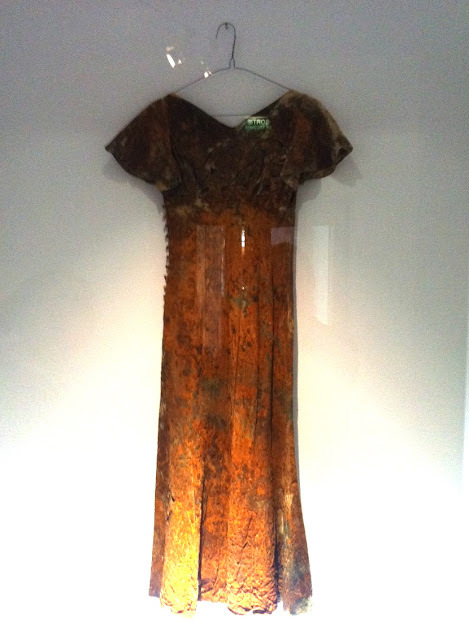 There are even photos of the designer as an 11-year-old boy with a book entitled 'Aircraft' in the background - considering this interest alongside the designer's fondness for incorporating advanced technology into his collections, it is almost unsurprising that the 'Aeroplane' dress has been shown in two different forms in two different collections. A more melancholy reference to the concept was seen in the 1994 collection 'Cartesia', in which the designer showed a range of dresses made from an artificial paper called Tyvek. The 'Airmail' dress was a plain paper dress with a bright red and blue border - the exceptional part was that it came with its own envelope, stamped with the words 'Par Avion'. 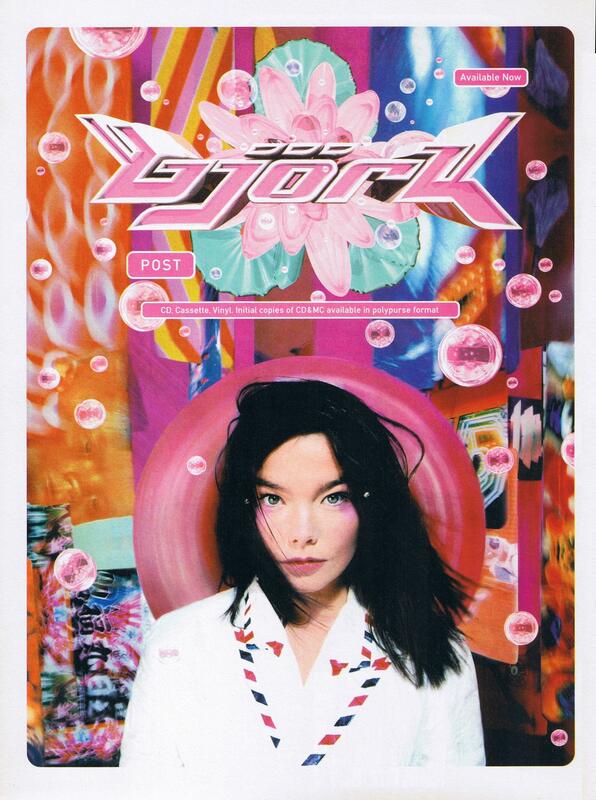 The dress was influenced by Chalayan's childhood in the sense that it was his way of remembering the days that he would send letters and cards by airmail to his mother in Turkey and was soon picked up by Icelandic singer Bjork who modelled the jacket on the cover of her 'Post' album, further propelling Chalayan and his avant-garde designs into the mainstream. Another concept frequently present in Chalayan's collections is the idea of a lack of identity - the idea of facelessness, one which the designer usually related to religion. Having lived a nomadic life, Chalayan has stated in interviews that he felt like a tourist wherever he went, a notion which was represented in his 2011 collection 'Sakoku'. Literally translating to 'Locked City', the collection was based around the time that Chalayan spent as a tourist in Japan, and was also influenced by the controversial political history of Japan. Shown as a fashion film as opposed to a traditional runway show, Japanese culture is omnipresent in the collection - mesh panels are reminiscent of Japanese sliding doors, white silk is draped to represent the waves of the ocean and distorted floral prints reference cherry blossom as well as the traditional Japanese art of flower arrangement. 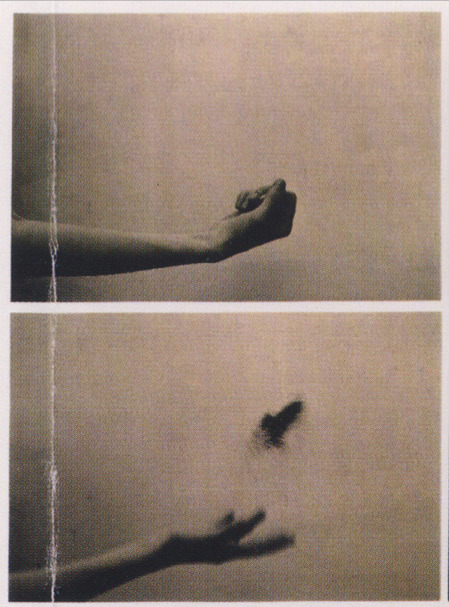 The idea was explained more controversially in the 1998 collection 'Between', which was a commentary on the facelessness of women in the Turkish Muslim society. The show ended with women dressed in chadors (traditional Muslim dress) of varying lengths - from a model covered from head-to-toe in black fabric to a woman left naked from the neck down, the show remains one of Chalayan's most critically-acclaimed and also one of his most daring. 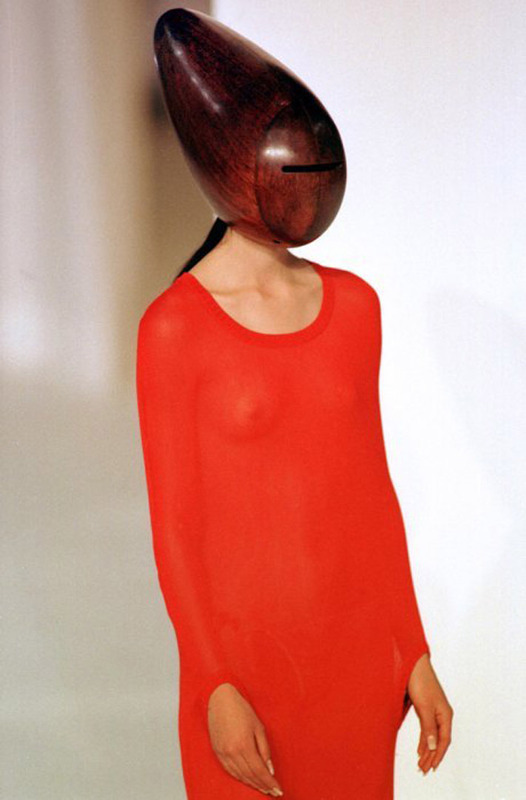 The concept of facelessness was also represented via a series of heavy wooden helmets which obscured the entire face in Chalayan's 1998 'Panoramic'. War is another key concept in Chalayan's work, inevitable when considering that he was raised in a period of conflict in Turkey. The collection 'Afterwords' was remarkable in the sense that the models were packing to leave their house and changing into their own furniture. The runway presentation featured a living room as the set, a room in which the models wore minimalist clothing with pockets sufficient to store an umbrella, a vase and every other object. The banal armchairs were revealed to have wearable covers, and the finale saw the model nonchalantly remove a panel from the coffee table, step inside it and wear it as a dress. The most remarkable thing about the collection was the way in which Chalayan made wearing furniture seem such a mundane, everyday thing to do - there was no look of surprise or exasperation from the models as they strapped themself into an armchair cover, which shows Chalayan's brilliance in terms of making the extraordinary seem acceptable. He later revealed that the collection was inspired by the family in the house next to his childhood home who were all killed in war - throughout childhood he never knew when his family would have to flee, so the idea of making a collection based around furniture was a simple reaction to the danger of his childhood. The more melancholy idea of loss was explored in the 'Ventriloquy' collection - using a poppy-print to symbolise mourning of death at war, the runway show also featured a series of sugarglass dresses which were smashed on the runway. 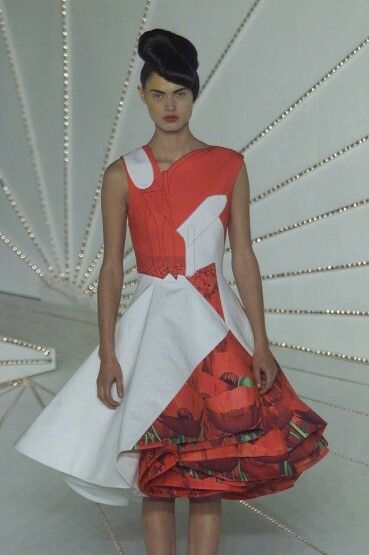 The show opened with a short film showing a 3D rendering of the destruction of one of the sugarglass dresses - the combination of the destruction of the dresses and the mourning of the poppies were combined to indicate a lack of morality in times of war, and the collection remains one of Chalayan's most beautiful. The final attribute to Chalayan's ongoing success is his use of technology within his work. Many designers come up with avant-garde ideas but simply don't have the technological skill or the budget to do it - in this sense, Chalayan is the most innovative designer in recent history. From projecting fashion films as opposed to runway shows to creating mechanical dresses and experimenting with advanced technology, the imagination that runs throughout his collections is extraordinary. 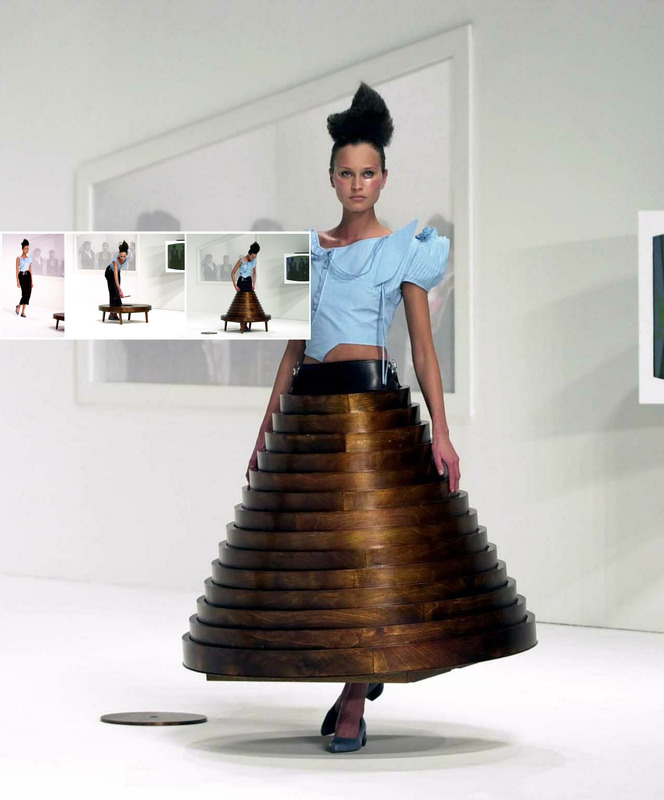 For his S/S 2008 collection 'Readings', Chalayan showed a fashion film directed by Nick Knight which was said to be a commentary on the modern obsession with celebrity culture. 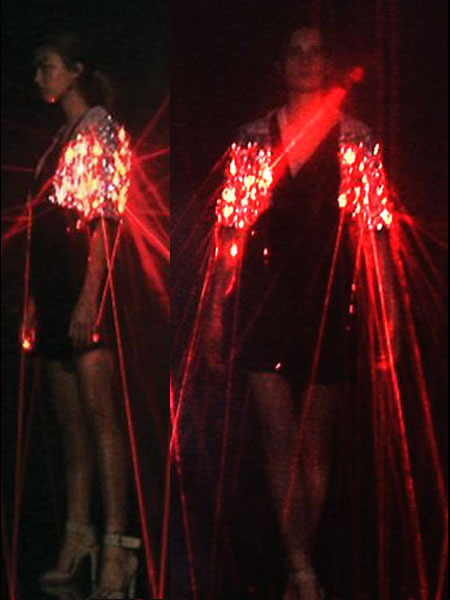 Featuring models wearing dresses embedded with LED lights, the idea related back to ancient tribes that would worship the sun - the models dresses would first reflect and then project light, representing a performance. Another show - 'One Hundred and Eleven' was focussed around the development of fashion over the last 111 years, and saw long Victoriana dresses mechanically transform into dresses reminiscent of popular styles from the past ten decades, and ended in the 'Transformer' dress - formed from long strips of fabric imbued with reflective mirrors which moved independently from the model and marked yet another advance in Chalayan's prowess. Although as an audience we only see the finished product, the thought process and concept behind a collection is extremely important as it shows that there is a story to be told. Chalayan famously said "I work like a film director I think. But if you go for dinner at someone's house and you enjoy it, you don't have to know all of the ingredients, do you?" This statement is certainly true, but it is rare for a designer to present collections which are interesting enough to provoke further research into the design process and the inspiration behind the collections. There are still rumours of financial problems surrounding Chalayan's empire, as many corporations are reluctant to provide the designer with any kind of advertising budget and Chalayan himself has made it clear that he is in the business for his own creative fulfilment as opposed to financial gain. The fact that he has not followed in the footsteps of his contemporaries and gone to work for a fashion house, instead choosing to maintain control of his own line, is a true testament to the designer's work ethic and passion for his work. In essence, Hussein Chalayan is nothing short of an icon. Awesome collection Chalayan. Ring skirt is very creative dress. Loved it!